Say bye to English muffins and hello to crumpets for breakfast. Not sure what you want for breakfast? I always had the same question until a recent discovery. Crumpets are the next big thing for your breakfast and you’re definitely going to want to try them. Here are five facts about them you might not have known, and why they are worth being on your breakfast plate. 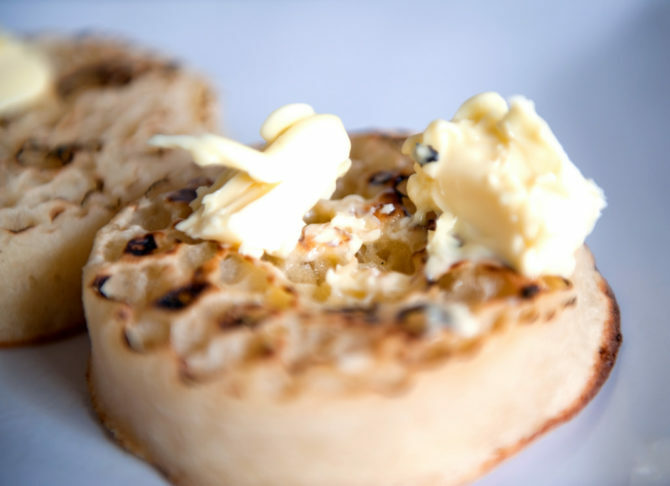 Crumpets are traditionally made of a loose batter that contains milk and baking soda among other ingredients. 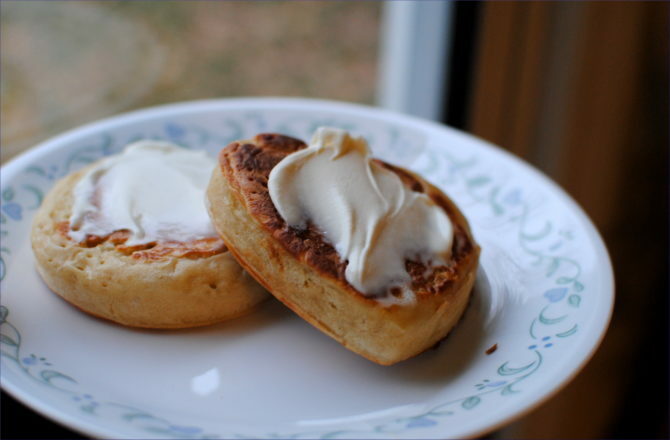 This results in the crumpet being light and fluffy compared to the more bread-like texture of an English muffin. What does this mean for you? It means you don’t have to limit your thinking to the idea that crumpets should be eaten like bread. Go ahead, add toppings to your crumpet like it’s a fancy cake. 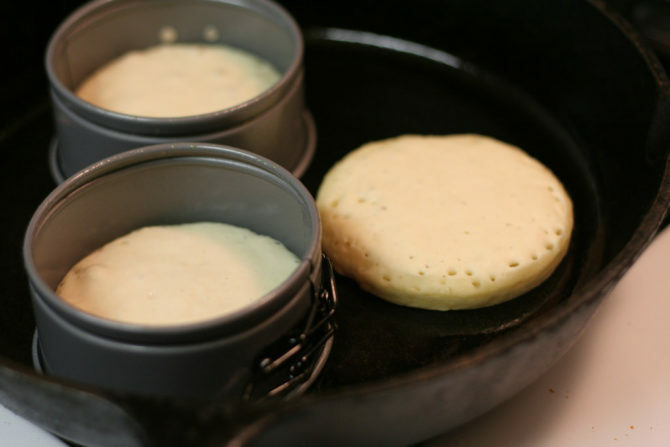 Like mentioned previously, because crumpets are made out of a light, loose batter, the final product is similar to a dense, thick, soft, pancake. Pancakes means stacks of pancakes, so if crumpets are similar to pancakes, then crumpets must mean stacks of crumpets! 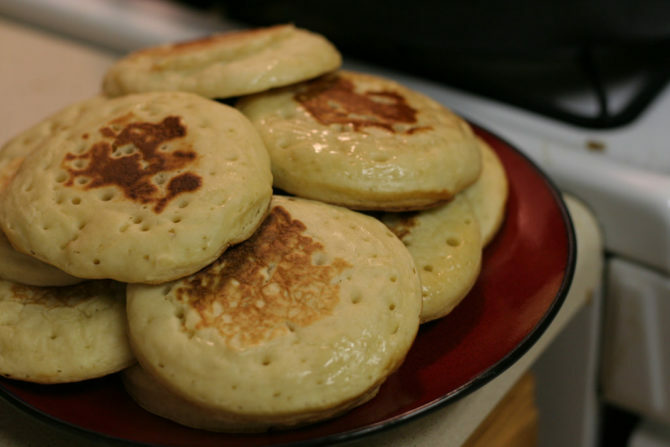 Who wouldn’t want to dive into a delicious looking stack of crumpets, ready to be drenched in some butter and honey? 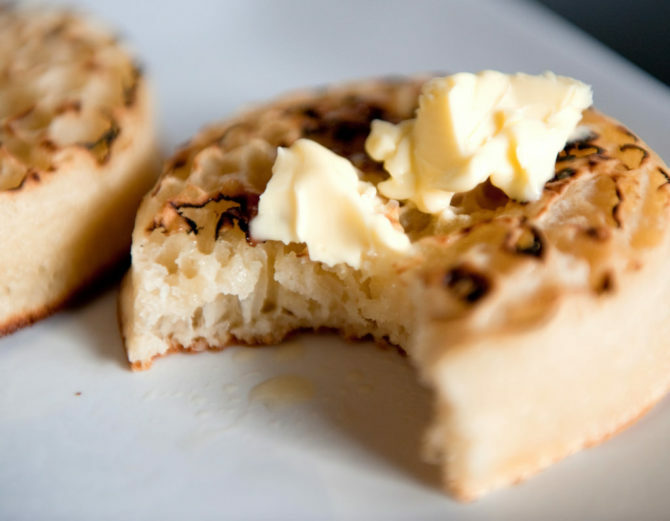 Unlike English muffins, when crumpets are made, they are only cooked on one side. Therefore, the bottom of the crumpet is crunchy and acts as a sturdy base after being popped in the toaster, while the other side is waiting for all the different toppings for you to pile on. The sky is the limit for toppings on crumpets. You know when you try to eat an English muffin and have to go through all the trouble of splitting it in half? And you know those times when you try to rip it carefully in two, but it’s just not working so you have to go all the way to your kitchen drawer to grab a knife? Crumpets are much more well behaved. I’ve saved the best for last. The best part are all the nooks and crannies speckled on the top, which are perfect for absorbing all the delicious butter and toppings you slather on. When you bite into your crumpet, the melting butter in those crevices is just waiting to ooze out.